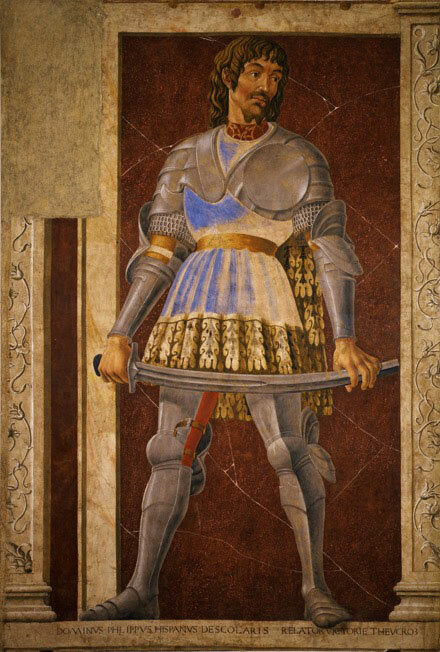 The cycle of Famous Men and Women by Andrea del Castagno (c. 1421 – 1457) is considered to be one of the masterpieces of early Renaissance fresco painting. 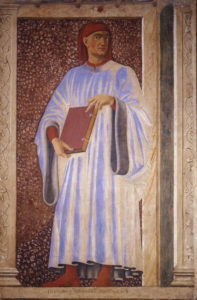 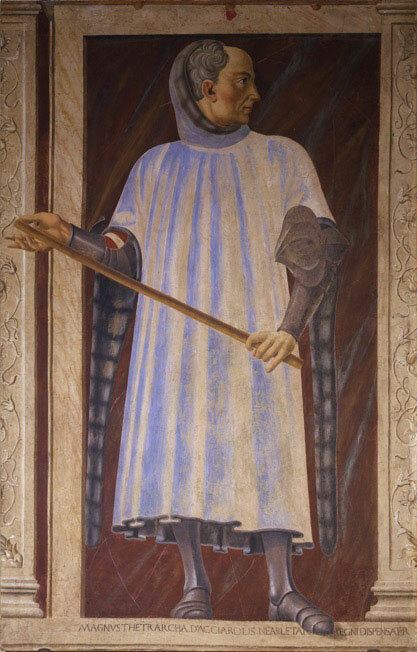 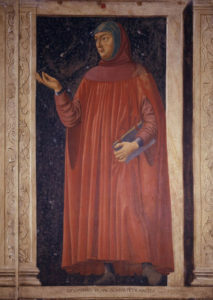 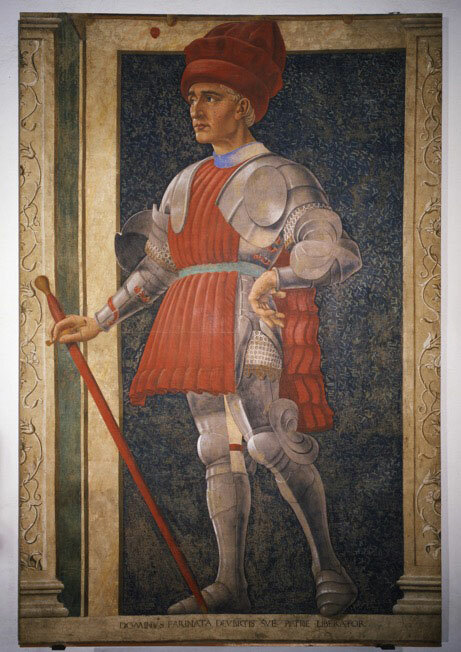 Painted between 1448 and 1451 for the Villa Carducci di Legnaia near Florence for Filippo Carducci, who at the time served as Gonfaloniere di Giustizia (or Chief Justice) of the Florentine Republic, this is the first secular cycle of famous men and women – a literary theme inspired by Boccaccio and Plutarch – painted for a private home. The cycle celebrates intellectual and moral values along with political and military valor.